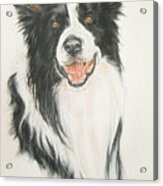 Border Collie galaxy s8 case by Barbara Keith. Protect your Galaxy S8 with an impact-resistant, slim-profile, hard-shell case. The image is printed directly onto the case and wrapped around the edges for a beautiful presentation. Simply snap the case onto your Galaxy S8 for instant protection and direct access to all of the phone's features! 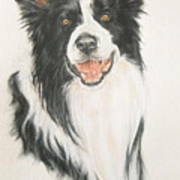 A wonderful paint Barbara, love your sensitive and fine detailing of the fur, so difficult to achieve! Barbara you are an amazing artist. I especially love your animals. You seem to capture their personality! Thank you.. and I do try to put "life" in them.. hopefully I've succeeded. 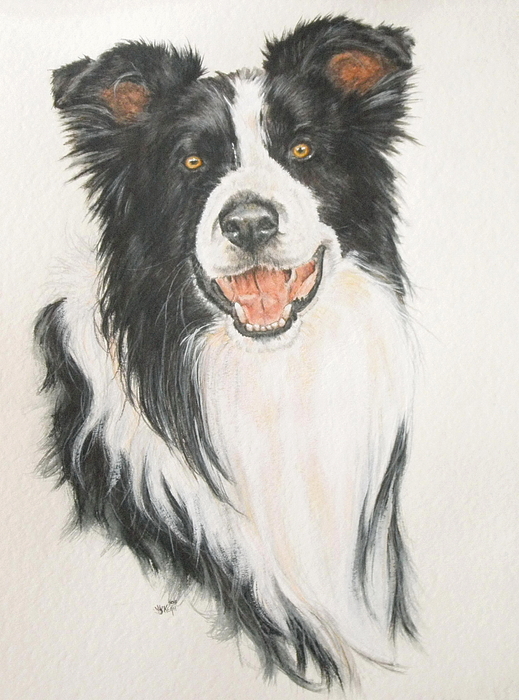 This is a beautiful painting of such a lively, happy dog!